The historic event is expected to take place with weekend long activities starting on Friday, October 12 - Sunday, October 14. The keynote address by Min. 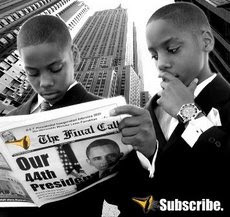 Farrakhan will take place on Sunday, October 14. "It gives me great joy to come back home, personally, because it’s the city of my mother. And this is where we buried my mother,” he said, reflecting on his mother, Tynnetta Muhammad, wife of the Hon. Elijah Muhammad. If Detroit is resurrected and rises in truth the whole of Black America will rise from Detroit, he explained. “It’s a sister city to Chicago. Detroit and Chicago when they rise, the whole of Black America will rise. So, I am excited that we have been connecting with Detroit over the last five years; three Saviours’ Days in Detroit over the last five years, and now to come back in the month of October which is the month of the Hon. 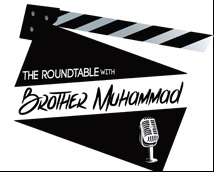 Elijah Muhammad’s birth, and of course the 23rd anniversary,” he continued. The Minister has a heart that is a heart after the heart of God, Stu. Minister Ishmael Muhammad stated. One of many Detroit residents who attended the gathering expressed excitement and heart felt sentiments about Minister Farrakhan coming to Detroit. During the town hall meeting, Student Min. 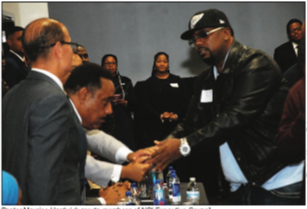 Ishmael Muhammad stated that the purpose of the community gathering was to announce a call for help from the community to work together in the spirit of love and unity, a theme of the Million Man March. Attendees applauded, and many began announcing their desire to support the event and help the Minister and the Nation. Other members of the NOI Executive Council including Berve Muhammad, Student National Secretary; Leonard F. Muhammad, longtime aide to Min. Farrakhan; and Mustapha Farrakhan, Student Supreme Captain and son of Min. Farrakhan addressed the town hall. 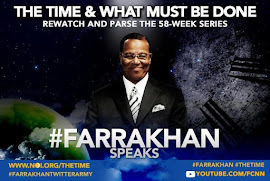 “Generally the Honorable Minister Louis Farrakhan recognizes this is our Mecca and to come back home to where it all began and the first time for the Day of Atonement address here is just befitting. 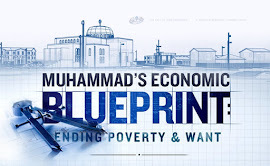 The spirit moved him and it is apparent already that Allah and His Christ are guiding him,” said Berve Muhammad. 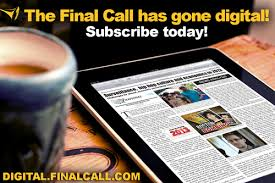 People shared testimonials of gratitude for the 90,000 Final Call newspapers and many stood up to express how Islam and words of Min. Farrakhan saved their lives and pledged their assistance in bringing the Holy Day of Atonement to Detroit. 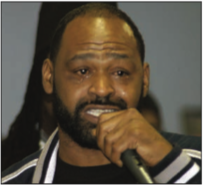 Several city officials and Detroit Police Department representatives stood up and boldly professed that whenever Min. Farrakhan comes to Detroit, “we roll out the red carpet for him because we know who he is.” Many enthusiastically shouted their thanks to God and agreed wholeheartedly. Fraternity and sorority members were also present. Lanre Musa Lee of Omega Psi Phi said bringing Holy Day of Atonement to Detroit is fantastic and something that is needed in light of high crime and violence plaguing Black communities. “I think it was a loving expression of brothers and sisters coming together for some greatness, because God we do some greatness in this city and throughout this country. I love Minister Farrakhan and I went to the Million Man March and I’m 62 years old. 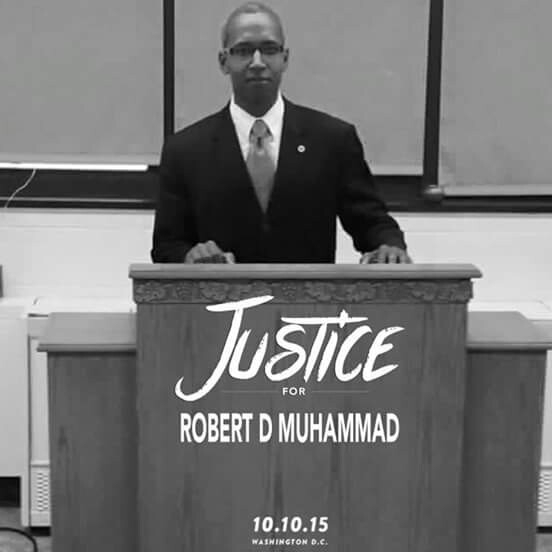 God is about love,” said Keith Williams, chairman of the Michigan Democratic Party. 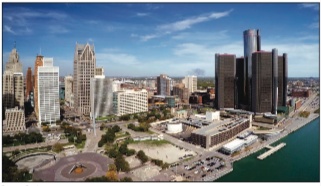 “This is a great time to have the event here because the people in Detroit have suffered a lot, they have gone through a lot of ups and downs, where people have had money and where Detroit has had a down turn where people have struggled,” said Eric Sabree, Wayne County treasurer. 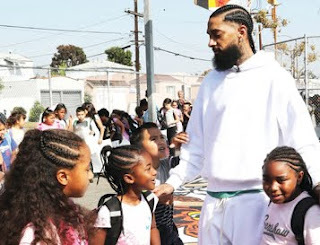 “I think that there are very strong people here, very resilient people, and with the Million Man March and Atonement, we have to look at ourselves with the Million Man March anniversary. It will help us look at ourselves and see how we can strengthen ourselves and take control of our community like we should,” he added. One of the original organizers of the march 23 years ago also attended the meeting, Reverend Joann Watson. “This was magnificent, what an outpouring of love and respect and investment in our collective future. What a wonderful way to honor the Minister’s coming. We love Minister Farrakhan. We love him and honor him and thank him for choosing this location one more time, one more time,” she said. She and others helped organize men in Detroit to attend the march. “I did not go, we helped brothers go, we sent our money off and packed lunches for them. I continue to meet with a group of men that formed a Million Man Alumni on the bus ride back home from D.C. I meet with them every Thursday, we are the ones organizing Black business bus tours. Many of the things the men planned to happen has happened. The Million Man spirit is alive,” said Rev. Watson. Members of the NOI Executive Council at Detroit community leadership meeting, including: Front row l-r; Leonard F. Muhammad, Imam Sultan R. Muhammad, Student Minister Dr. Ava Muhammad, Student Minister Ishmael R. Muhammad, Attorney Abdul Arif Muhammad. Second row l-r; Student National Secretary Berve Muhammad, Student National MGT Captain Sandy Muhammad, MGT Captain Emeritus A’ishah Muhammad, Student Protocol Director Thomas Muhammad, Student Minister Dr. Wesley Muhammad. Pastor Paul Fudge who opened the meeting in prayer said he was honored to be a part of the leadership and community town hall. “It is something that our city needs; it’s something that we as men need, the women need. We just need this unity. Detroit is in position now where there is a lot of gun violence, killings, our own Blacks killing each other, and we need a healing now,” said Pastor Fudge.